Lucy Ridgeway is a certified ACC coach with the International Coaching Federation. I have been successfully coaching professional women clients for six years with over 300 coaching hours. My area of expertise are life, career and life-work balance. I approach every new client with enthusiasm because I know I can take them to the next level and they'll have the relationships they want in life. I excel in coaching people from the inside out - making the internal changes as well as the external. My coaching process sparks insights and expands my clients' ability to create what they want in a way that lasts a lifetime. I'm also a very practical and down-to-earth coach. I help clients organize and prioritize everything in their lives, from balancing home and work, to managing a family. And while they're getting organized and get out of overwhelm and make time for self-care and their personal goals. I’m a certified Associated Certified Coach “ACC” with the International Coaching Federation, the gold standard of coaching. To contact Lucy, visit her website @ lucyridgewaycoaching.com or call 305-720-7682 with a message and the best time to call you back. Lindsey Gemme works with women like you who feel “broken” and suffer in silence with low self-confidence, and I support you in your journey in making yourself feel whole again. After years of suffering under that same yoke for most of my life, in 2010 I began my long journey toward learning how to live a life I dreamed about and finding peace and love for myself. It’s a hard journey to do alone, and that’s why I am passionate about mentoring other women who want to begin their own beautiful journey, but don’t know where to start. I use a holistic approach, by helping you to not only gain intuitive skills for emotional well-being, but physical well-being as well. I do this through guiding you in developing healthy habits in: Positive thinking, nurturing your creative side, choosing foods and physical movement that are healthy and feel good, and in creating an environment that supports you. I trained as a life coach through a certified program at the Southwest Institute of the Healing Arts (SWIHA) in Tempe, AZ in 2014, and earned my certificate as a holistic nutrition specialist from SWIHA in 2013. I completed my degree in medical nutrition therapy as a diet tech from Central Arizona College in 2015.Prior to health coaching and mentoring women in confidence building, I worked for 10 years as an award winning journalist and photographer. Today I am still a passionate women’s health journalist and short story writer, as well as a portrait photographer, cook, gardener, yogi, crochet artist, poet, and nature lover. To learn more about a mentorship with me to support you in feeling loved, confident, and “whole” again, visit https://lindseygemme.wordpress.com/, or find me on Facebook at https://www.facebook.com/gemmementor. Nilaja Lewis helps individuals who are seeking clarity and balance to bring about change in their lives and the freedom to create the lifestyle they want. My passion is helping women discover their courage and confidence as they reach their potential to BE their best self. Nilaja has completed 1 year of coach training and will receive her certification from Quantum Success Coaching Academy January 2016. Prior to formal coach training, Nilaja, for over 20 yrs. has helped many of her friends and family feel empowered to overcome their major life challenges. Nilaja holds a special place in her heart for young adults with developmental disabilities, as she has worked very closely for 15 years as a liason between them and their families, fostering healthy family dynamics. 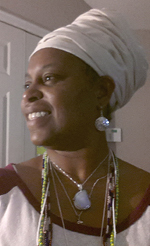 To contact Nilaja go to www.schedulicity.com/LEC or email nilajalewis@luceroseyescoaching.com. Scott Bland helps ignite focus from "what is wrong" to "what is possible." His passion as a Personal Development Coach, Speaker, and Singer is to equip and encourage individuals nationwide in their PROFESSIONAL and PERSONAL development. Scott obtained certification as a Life Coach in 2010 at the Life Coach institute with Dr. Shad Helmstetter. In 2011, he expanded his knowledge in coaching by receiving another certification through the Advanced Coaching Institute with Dr. Bradley Thomas. Scott went on to be licensed in 2013 as a Master Coach from Dream Releaser Coaching with Dr. Samual Chand. Prior to coaching, Scott spent close to 20 years in ministry and just over 12 years in Education. To contact Scott, please call him directly at 419-221-0947 or fill in the CONTACT form located at www.ConceptsThatWork.com. With passion, humor, and warmth, Julie Thompson helps others to gain clarity and identify the resources needed for success. For almost 25 years Julie has been bringing out the best in others while serving in leadership, coaching, and counseling roles in schools, churches, and hospitals. Her Appreciative Way coach training provides a positive, compassionate, and collaborative approach that combines Appreciative Inquiry psychology and contemplative spirituality. As a trained instructor with PAIRS and PREPARE-ENRICH, she also helps couples and parents to learn and use communication tools that foster healthy relationships. After graduating from Miami University of Ohio with a speech communication degree, she earned her Master of Divinity from Pittsburgh Theological Seminary and completed her Clinical Pastoral Education internship at the psychiatric division of New York-Presbyterian Hospital. As a minister in the Presbyterian Church (USA), she has served congregations in Pennsylvania and South Carolina. To contact Julie Thompson, please go to her web site, Roots and Wings Workshops and Coaching, at www.rootsandwingsworkshops.com. 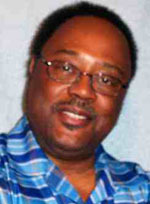 Coach Bob Hill is a Certified Holistic Life Coach and Certified Relationship Coach. 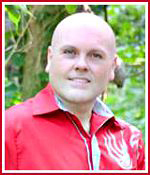 He is also a Certified Hypnosis Consultant and Holistic Metaphysical Practitioner. He empowers individuals, couples, and families to create the life and relationships that they desire. He's been a life coach since 2000 and has studied: Coaching, Coachville School of Coaching, Coach Training Alliance Coaching Practice Incubator 2001, Coach Training Alliance Coach Accelerator, Coachville Certified Coach Intensive Coachville School Of Coaching, Relationship Coaching For Singles at Relationship Coaching Institute, Relationship Coaching for Couples at Relationship Coaching Institute, Certified Holistic Life Coaching at the University Of Metaphysics, Certified Holistic Life Coaching at Holistic Harmony Institute, EFT Certification Holistic Harmony Institute, and ICF accredited Accelerated Laser Coaching taught by Marion Franklin MCC in NY. Bob has a BA in Metaphysics and is an ordained metaphysical and Christian minister and a Certified Holistic Practitioner. Bob is also a Certified Hypnosis Practitioner. Bob is a member of the International Coaches Federation, the International Association of Coaches, Coachville, The Coaching Academy of North America, The National Guild Of Hypnotists, The International Association of Counselors and Therapists and The American Hypnosis Association. Bob's passion is to help people to better their lives through life Coaching. To contact Bob, please call 212-283-4372, email: bobhilla@aol.com. To learn more go to www.coachbobhill.com. Jeffrey Albert helps mid-level professionals to achieve a clear path and achieve the life satisfaction they seek. Jeffrey is working towards his certification, and is expected to achieve his certification in March 2008. Jeffrey is a member of the IAC. Prior to coaching, Jeffrey spent 10 years as a corporate manager and 3 years advising non-profit organizations. To contact Jeffrey, please call 310-598-5824 or email jalbert@claritycoachworks.com. To learn more about Jeffrey, please visit www.claritycoachworks.com. Michele White is a Relationship Coach. She works with moms looking to achieve balance in their hectic lives, single women who don’t want to give up meeting their life partner, and couples whose "fizz" has fizzled out! Michele is qualified to administer the Prepare/Enrich assessment. 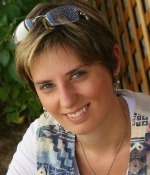 Michele's training is through Coach U and the Relationship Coaching Institute and she is a member of ICF. Prior to coaching, Michele spent 25+ years in Corporate America. To contact Michele please email consciousconnect@bellsouth.net. Cathy Brennan helps busy women move from feeling over the hill to feeling on top of the world, creating a life of passion, fun, and meaning. 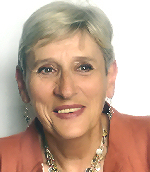 Cathy has completed over 125 hours of coaching training and is a member of the IAC and ICF. 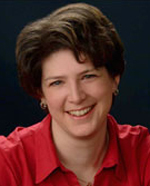 Prior to coaching Cathy was a Registered Nurse for 22 years and a small business owner for the past 7 years. To contact call 860-774-0006, e-mail coach@pathwayscoach.com, or go to www.pathwayscoach.com. 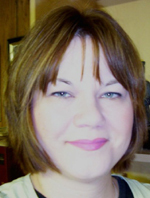 Michelle Jackson helps people who are ready for change to find balance, achieve goals and truly discover who they are and what they want from life. 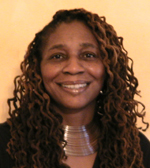 Michelle has completed numerous coaching courses and integrates techniques taught by the Fearless Living Institute. Michelle is a member of the IAC and has over three years of coaching experience. Prior to coaching Michelle spent many years as a business professional in the Health Care Industry. Michelle holds a special place in her heart for parents of special needs children and is always open to coaching families blessed with this wonderful challenge. Contact Michelle at (519) 991-8548 or email findyourtruth2@yahoo.ca. Caroline Rhodes is a Life Transitions Coach who helps people struggling with life's changes to understand the energy and patterns of change, and to develop more effective ways to respond with grace and ease. As a published author, Caroline has firsthand experience of the challenges involved in the creative journey, and the peace of mind that comes from knowing how to move forward, both in creative projects and in life itself. Caroline's training is through Coachville, and she is working towards certification by the Creativity Coaching Association and the IAC. To contact Caroline please email cdrhodes@mindspring.com. Rosie Kearton lives in the UK and has a wide range of experience facilitating growth and development. Her background is in the arts and she has over 25 years management experience in the arts sector. Rosie has completed training in coaching, NLP and Reiki, as well as Brain Gym and Emotional Freedom Technique. Rosie loves working with people who want to live a joyful life and make the world a better place. To contact Rosie please email rosiekearton@ntlworld.com.